My oldest turned 4yr at the end of last year. And with each passing year we have spent many ways celebrating his special day. 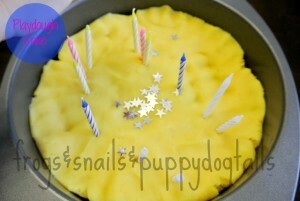 For this one we added a birthday themed bath. My husband had him outside playing so I got to set this up for him as a surprise. When him and his brother came in they were both thrilled and couldn’t wait to get in. 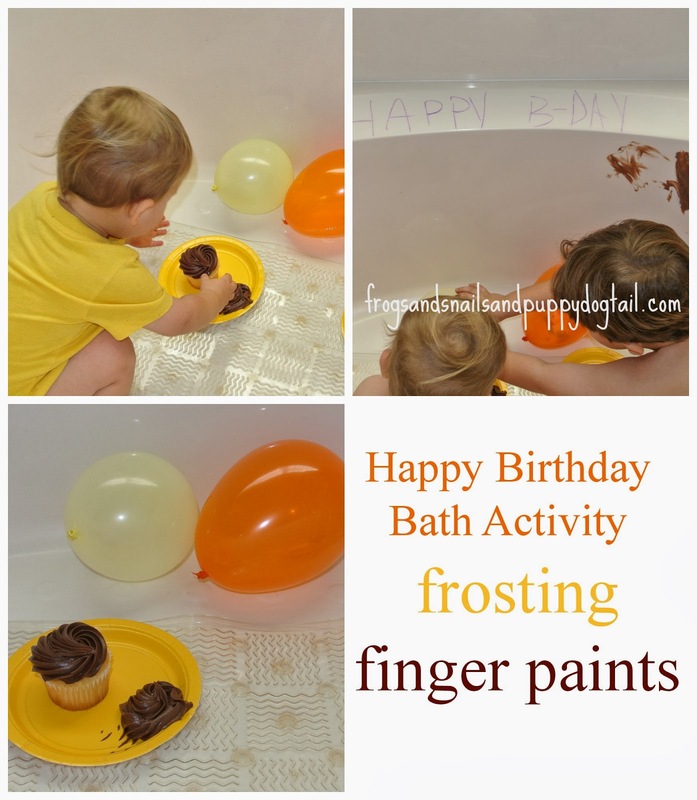 a few blown up balloons, bath crayon to write happy bday on the tub (I could have took more time to decorate the tub with the crayons but baby brother kept fussing), and cupcakes on a plate with extra frosting. we lite the candle for my son (his request) and let him blow it out. Then they got into the tub with no water. 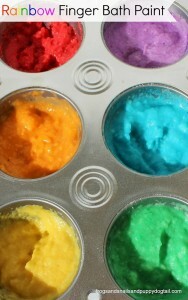 They ate their cupcakes while painting the tub with frosting! Once they were through having fun we washed it all away. Washing out the tub was fun too. Now we moved on to normal bath time. I can see us having to do this every year now. My boys just loved it. Messy fun is always a hit at my house. I adore the floating cupcakes!!! I must do this :). Wonderful idea! So fun and what a great b-day tradition! 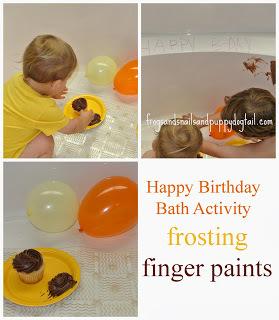 Love that they painted the tub with frosting!